You must make reservations at least 5 minutes in advance of the time at Taki Japanese Sushi & Hibachi Restaurant. Taki Japanese Sushi & Hibachi Restaurant, Dunwoody’s Newest and Most Fashionable Japanese Restaurant. 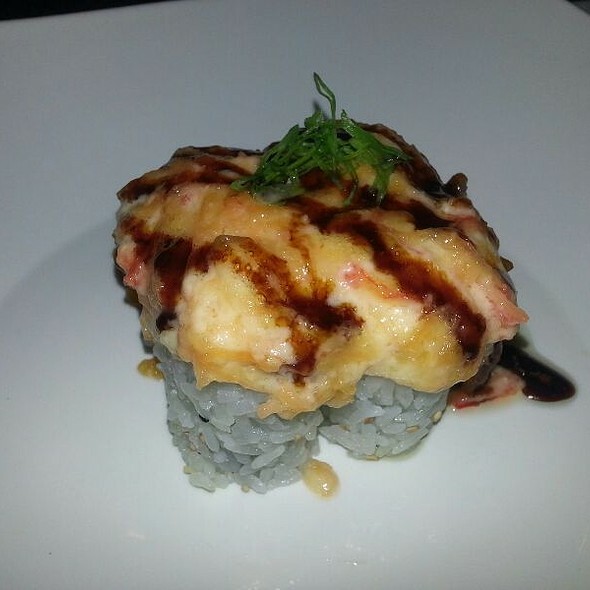 Nestled in Perimeter Village Center on Ashford Dunwoody Road you will find Taki Japanese Sushi & Hibachi Restaurant . The Asian Fusion atmosphere and décor is perfect for couples on a romantic date night or a family looking for a special dining experience. Taki also caters to the business crowd looking for a unique relaxing atmosphere. Our mission is to provide excellent fresh food, attentive and polite staff amid the most beautiful environment in the area. Whether you prefer the Hibachi rooms, 30 foot sushi bar or a table in the Dining Room - customer service is our first concern. 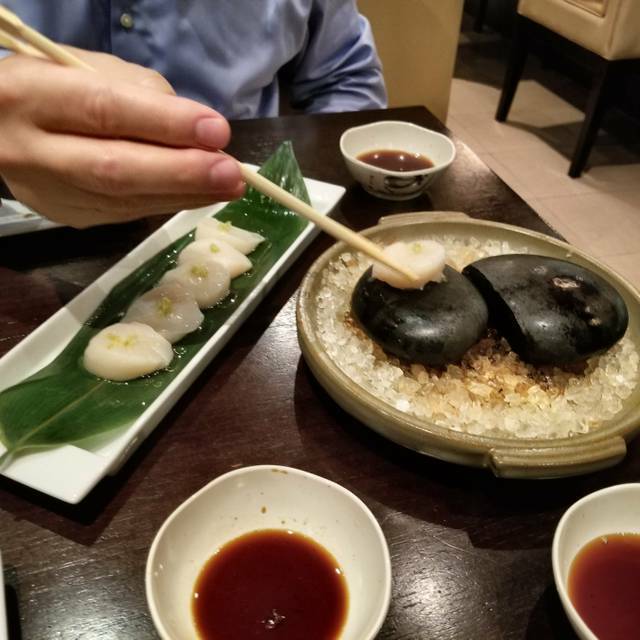 Taki selects only the freshest ingredients for its expansive mouth watering menu which includes appetizers, entrees, sushi and sashimi and desserts. Full Bar, Beer and Wine available. Our patio for outdoor dining opens in the Spring. Taki is available for take out and Private Parties. Extremely fast service and the Chef was outstanding, I have definitely found me a new favorite restaurant !! I always have a great experience at Taki. This visit was just as enjoyable as most others. My family and I were able to sit in the Hibachi room and this was the first time for the kids and they loved it! The chef put on a very impressive cooking show and the food was pretty good to boot. My girlfriend is allergic to shellfish (so am i), but she elected to have her food cooked back in the kitchen instead. Bad mistake! Her's was not nearly as tasty as ours...so she ended up eating off our our plates. Great experience overall...will definitely return!! Great food. Good service. Always a fun event. Our Hibachi Table was not seated until a half an hour after our reservation time. This proved to be problematic, as we missed our table at the club we were going to because it could not be held any longer past 8:30. We also had to pay a cover fee as a result of arriving after 9. So the delays at the restaurant cost us $45 in other expenses! Very unhappy about this! We have been to this location well over 40 times and seen the changes over the last few years. Ever since they changed all the chefs, I’m guessing because of the management change, it is no longer the same place. Last evening we made reservations and still waited 45 minutes without ever being seated before finally leaving. I understand that fitting 2 people into a hibachi table can be difficult when you have large groups coming in but let us know that you can’t fit us in don’t let us sit there wondering when we will be seated. Sat us 45 mins late w a party of 17. Over cooked food. Service was slow. So loud you can’t carry on a conversation. Great food...and our chef Tony was GREAT!!! He was fun and energetic and made the entire experience fabulous!!! Truly appreciate his spirit. Great experience and the chef was very entertaining. Excellent service all the way around and the food was delicious! Food was good and more than plentiful. "Show" is good and typical if you've ever been to places like this before. Service was so so. Messed up our check, never asked if I wanted another drink. They are very flustered when it comes to seating close to reservation time. We had about a 30-40 minute wait even with 8 pm reservation for only a party of 5. I know it's a math juggle to maximize hibachi headcount but they haven't figured out a good system yet. Ridiculous wait and we had a reservation. The food was bland with not very much flavor at all. For the price you pay, I don’t feel that the meal was worth it. Usually at Japanese hibachi restaurants, you are able to let the cook know that you have a seafood allergy, and they will cook your food on the opposite side of the grill. However, at this place they said they would have to cook the food in the back and not in front of us. Also, we ordered an appetizer (chicken tempura) and the manager sent the waitress to tell us it would take too long for the cook to prepare it. Overall, it was a bad experience. I do not recommend this place, nor will I ever go back. 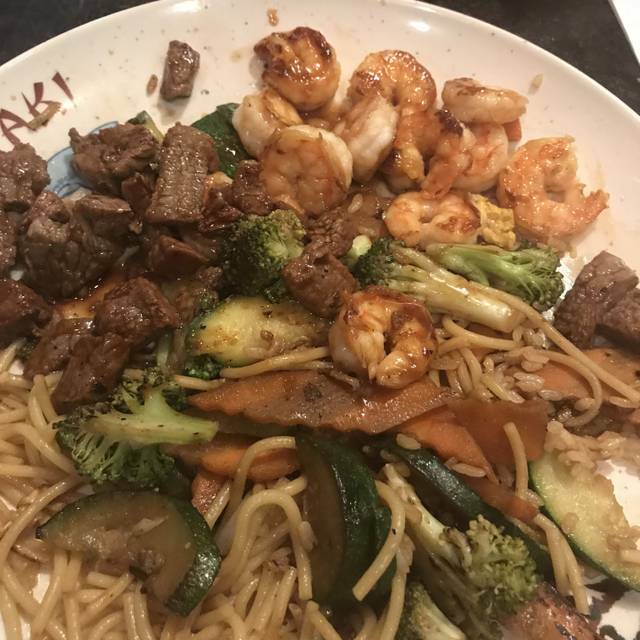 I’m not one to complain (first review ever), but our experience at Taki was nothing short of bad. We asked for a seat at the habachi table and after 20 minutes of waiting, despite having an open table reservation, were seated in the regular dining room. The waitress literally had to be prompted several times to remember the simplest things, such as silver ware, lemons for the water, or the soup and salad that the menu stated are part of the entree. Overall, really bad, quite dirty and terrible service. We went for an employee appreciation lunch and had an excellent experience! The service was wonderful, and we sampled both the hibachi (at the table) and several sushi rolls. The chef was entertaining and the food portions are HUGE! We were all surprised by the portion size and all left with to-go boxes. Since we were there are lunch it was quieter probably than a dinner service. I would highly recommend for a small team outing, we had a great time celebrating! Food was good, but service was below my expectations. The server took our food and drinks orders the minute we sat down, and the chef was not friendly. The soup was not hot and the salad had a mayonnaise (vs ginger) based dressing. Other than that, it was very good. Service was ok. But the wait was ridiculous. What’s the point of making reservations to be seated an hour later. Great restaurant! 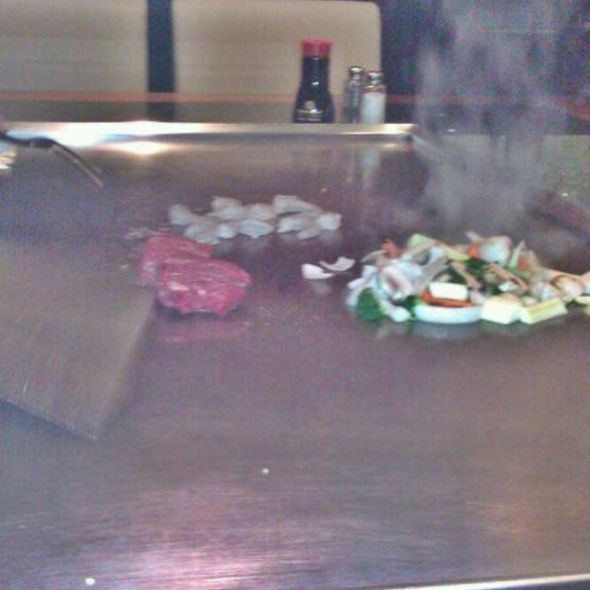 Our Hibachi chef was amazing and kept us laughing the entire meal! Good food and service. We like to come here for special occasions like birthdays because the food is always great. 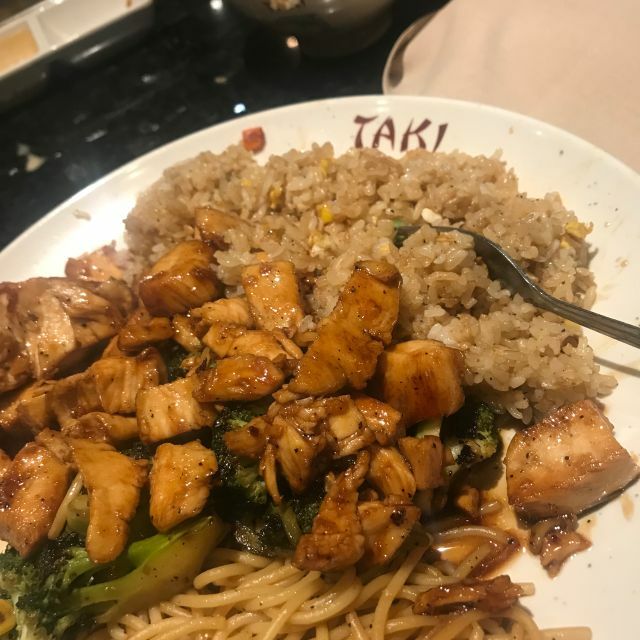 Taki is your typical Hibachi restaurant. We were sat on time. The service was definitely lacking. The bottle of wine we ordered was just placed down in front of us. Not opened, nothing poured in our glasses and no bucket to keep our Chardonnay cold. We had to initially fill and refill our own glasses. Neither my daughter’s sprite nor our waters were brought to the table. Our chef was nice but definitely not as entertaining as other tables. And my eye was burning from the onion he threw at me without warning. I was really looking forward to a fun family dinner that definitely left me wanting more considering the cost and the auto grat of 18%. This is a good place to bring the kids for a fun dinner out and the food is good. The service was fair (waiter forgot glasses for our beer, disappeared for long periods and then quickly ran over to make sure we had paid our bill when we got up because he had been gone so long he didn't know someone else had brought us the bill and we paid while he was MIA). We were oddly seated at a table full of young kids (7 - 10 years old) who had been seated separately from their own parents. I was with my own children and the kids we were seated with were well behaved, but it felt like we were babysitting someone else's children during our night out. Not worth the money, average at best. We will not return. While the food was delicious, we had a 7pm reservation, were not sat until after 8 and then our cook did not begin until close to 9pm. They sat us and immediately served salad and soup but then left us sitting and waiting for over 30 minutes. If the restaurant cannot handle that many reservations on a holiday, they should not take them - or they should not take walk-ins. It was ridiculous to have to wait that long. We felt completely rushed from the time we entered restaurant. Hostess suggested calling my dinner guest to get order because they were 5 minutes late!! The waiter requested order after we were seated 5 minutes. When the check was brought to table, waiter returned in approx 3 minutes for the credit cards! When weshared our exprerience, the waiter stated they had 1200 people planned for the evening so manager instructed them to speed things along. We will not return to restaurant; they need to cater to ALL clients and not overbook if they can not accommodate the volume. The service and the food are always great! We were seated prior to our reservation and only had a short wait before the cook came out to start our food. We were in and out in a hour on a Friday night! The food was prepared okay but lacked flavor overall, meats were cooked properly but vegetables were underdone. From start to finish the restaurant seemed unorganized and impersonal, but the biggest disappointment was our hibachi chef. By far this was the least competent and most rude individual any of our party had ever experienced. Only one trick was successful, the rest were clattering dropped knives and broken eggs until he simply quit. A dirty plate was replaced by screaming for another one. Literally screaming so that staff out of the room could hear. He made fun of guests body types, addressed us as Mommy and Daddy with a leering tone, harassed the children's choices of what they ate, brusquely asked another patron to move her drink so he had more room, dropped our food with no apology, and sprayed our dinners with cleaner at the end by being sloppy. The high prices, average food, and horrible chef means we will never be back. The chef was entertaining. The food was quite salty. The server was Cindy she was just ok. Never refilled drinks. One order was made in the back she didn’t bring it out. Food at Habachi table was bland no flavor. Food bought from the back had flavor and was good. The cook was boring. Other tables were cheering and clapping he didn’t do any tricks. It was just an uneventful night. My son wanted it cause he is leaving for school. Overall my experience was good. The only thing that really upset me was the fact that they forgot to provide the birthday package I requested on the reservation as well as when we arrived for dinner. It was my daughters 14th birthday celebration with her friends so I sat the girls and waited for them at the sushi bar. It was an important part of the evening for her to get the birthday song and cake. I was supposed to get a 10 voucher for my next visit which I never received as well. My family and I always go to Taki for our birthdays because the food is always so yummy and the service is great! I can’t wait to go back in a few weeks for another birthday celebration! Got seated quickly, ordered sushi roll and drinks. We got our drinks then chef showed up to cook. 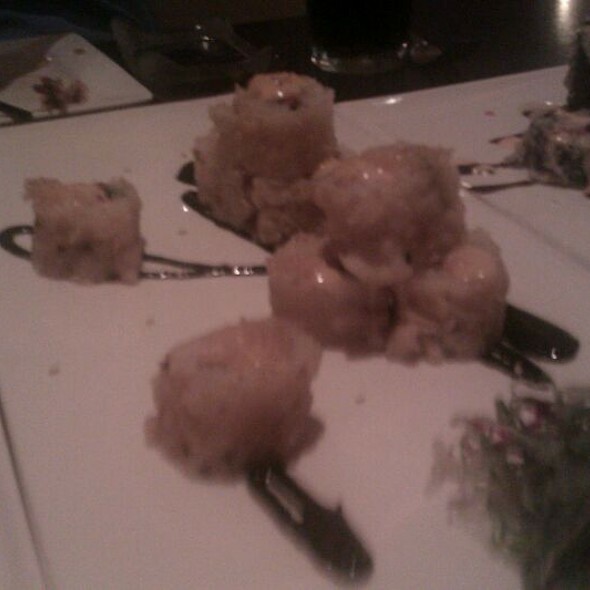 My sushi roll never showed up. Chef made rice and veggies for everyone at the table except us. When I asked him why he seemed very confused about our order. I gave up and we walked out. Never going back. I came here with friends for my birthday. We had so much fun! The food was delicious!